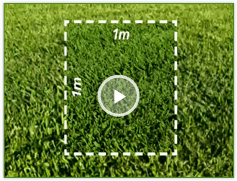 Please find our very useful Lawn Turf Blogs below. 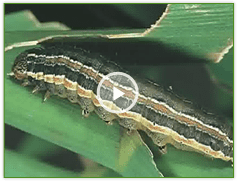 Click on a Blog Title to view the full blog. 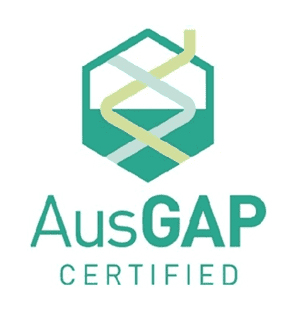 We welcome your comments and feedback. 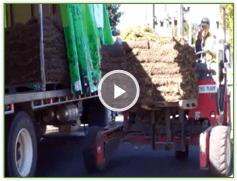 Learn how we deliver lawn turf using our new modern pallet-less delivery system. 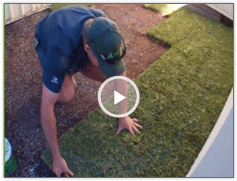 Learn how we do a rip out and install of a new lawn. 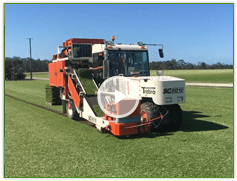 See our new Trebro in action harvesting turf on the farm to ensure you the highest quality fresh turf. 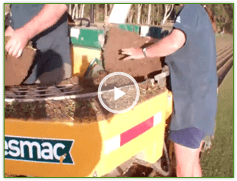 See how we used to harvest turf on the farm. 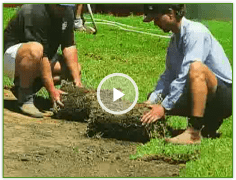 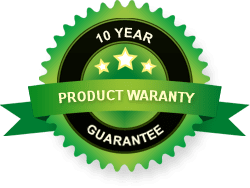 The pro’s and con’s of installing a real turf in comparison to synthetic lawn and some surprising facts. 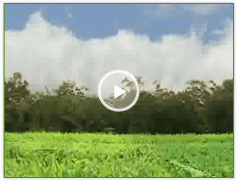 When do I first mow my new lawn? 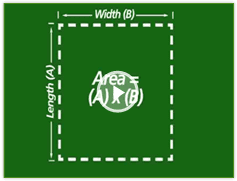 What blade height do I use? 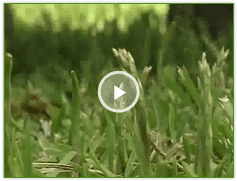 How frequently should I mow my lawn? 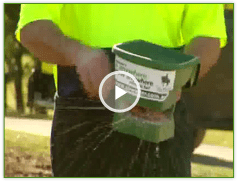 Lots of lawn substitutes have surfaced claiming to be derived from Sir Walter – is this true? 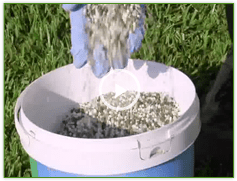 Maintaining good soil pH is an important component of maintaining a healthy lawn, find out why. 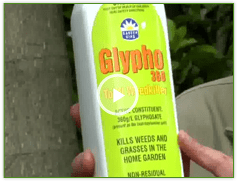 Handy hints and tips for getting the very best out of your lawn in both sun and shade conditions. 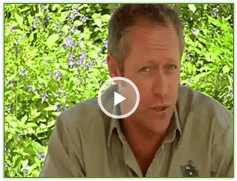 Help your lawn survive the hottest of days with a planned approach to lawn maintenance. 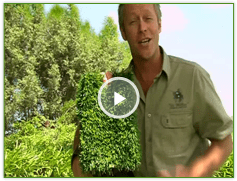 Having a healthy Sir Walter lawn makes your home greener than you think check out these lawn facts! 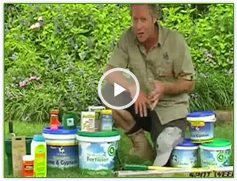 Watch this to find out how you can easily purchase all the essential lawn care products you may need. 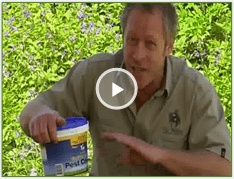 Learn how best to control common lawn pests and the effective use of ‘Sir Walter Pest Control’. 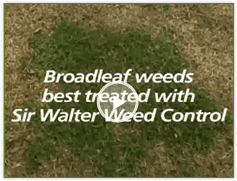 Control any broadleaf weeds easily with ‘Sir Walter Weed Control’ – this webisode shows you how. 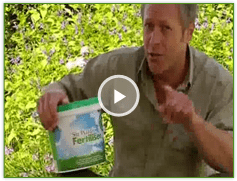 Is your lawn under-performing? 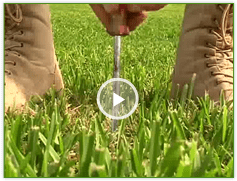 Checkout these quick tests to diagnose your lawn’s problem. 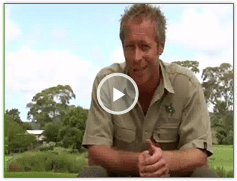 Some lawns can be affected by winter dormancy in different regions around Australia. 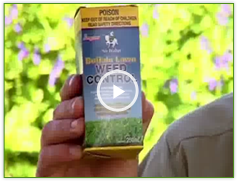 Find out how to control unwanted grasses appearing in your lawn. 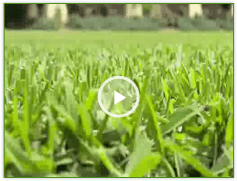 Learn the importance of letting your lawn breathe to ensure a lush, healthy lawn surface.